A Massive Inflatable Pool Mattress - A Cool Ride For the Pool, Ocean, Beach or Lake! A massive inflatable pool mattress, the SunTan Tub from Swimline and Family Leisure is a cool ride for the lake, ocean, beach or backyard swimming hole! The pink and purple colors are hip and cool, with reflective material that will catch any visitor's eyes. And while the colors will pop in your backyard, the actual inflatable itself will not, made from commercial-grade vinyl that is durable and heavy duty. 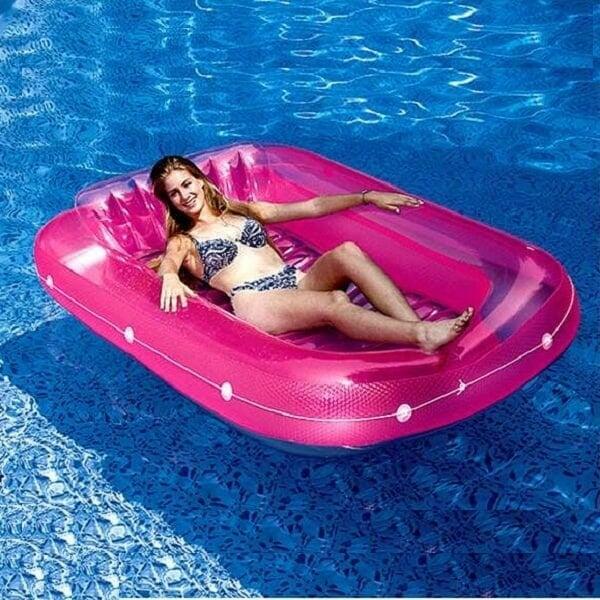 Inflatable island loungers are required pool supplies; why not bring home the very best pool inflatable possible with the SunTan Tub from Swimline and Family Leisure!